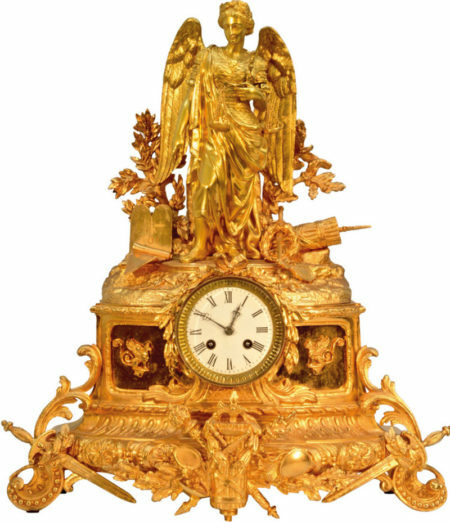 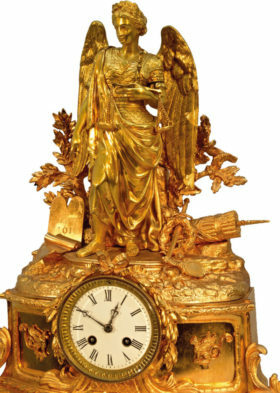 This impressive French figural mantel clock depicts Lady Justice. This piece is done in gilt brass on a gilt spelter base. 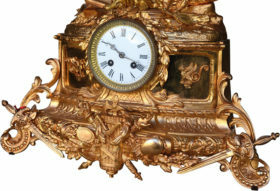 The clock houses an 8 day movement with bell strike ,and features a porcelain dial.